Mechanical Part-Stream Sampling System – Sampling Associates International, LLC. 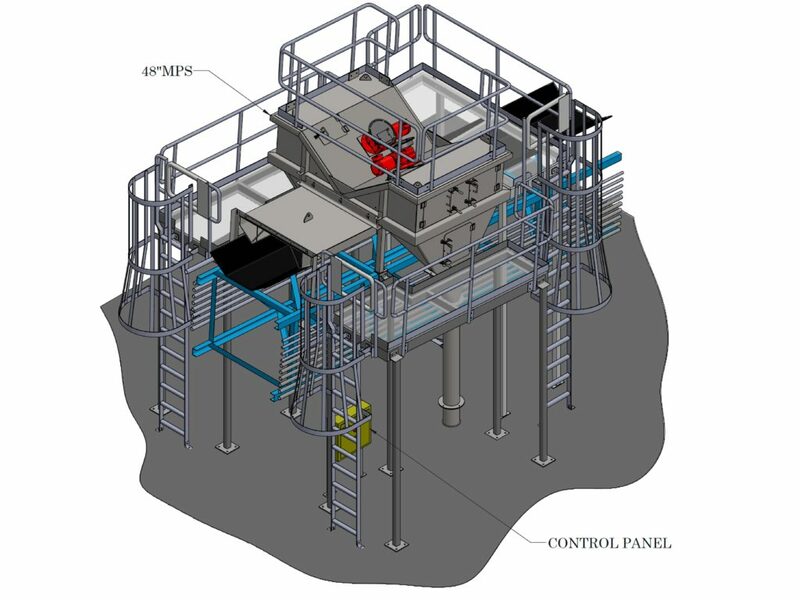 SAI, in partnership with Precision Samplers, Inc. (PSI), has developed the Mechanical Part-stream Sampler (MPS) to sample bulk materials from moving conveyors. The MPS is designed for “Condition C – Part-stream Cut” sampling according to ASTM and is governed by ASTM Standard D6609 (Part-stream Sampling of Coal). Part-stream sampling produces a Judgment sample (not a Probability sample), so it does not replace full stream mechanical sampling. However, the MPS is an important and effective sampling option when mechanical sampling systems are inoperative or at locations where a mechanical sampling system is not economically justifiable. Firstly, the MPS has a very small footprint on a conveyor belt and can be easily retrofitted to existing Conveyor systems. Secondly, sampling via MPS is much safer than manual belt sampling. 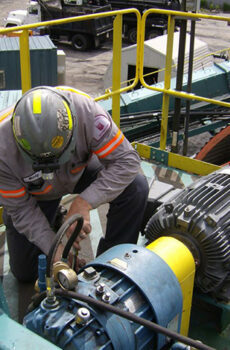 No human is exposed to the hazards of a moving conveyor belt, rolling idlers, or extreme weather. Finally, it removes the human element from the timing, selection, and collection processes when obtaining sample increments. 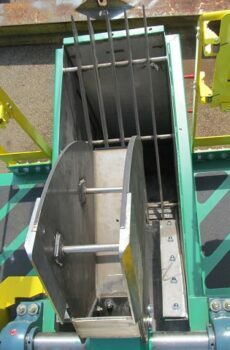 The MPS scoops are capable of reaching deeper than a human can with a shovel, and by customizing the scoops to reach deep into the material, particles with zero chance of being selected for the sample are minimized. 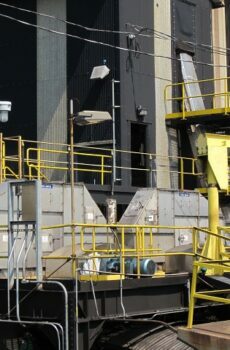 When an MPS is paired with a full mechanical sampling system, the terminal can continue loading when the sampling system is offline for any reason. This is extremely important as terminals that do not allow manual belt sampling due to the high speed of their conveyors can just activate the MPS without waiting for the sampling system to be repaired. 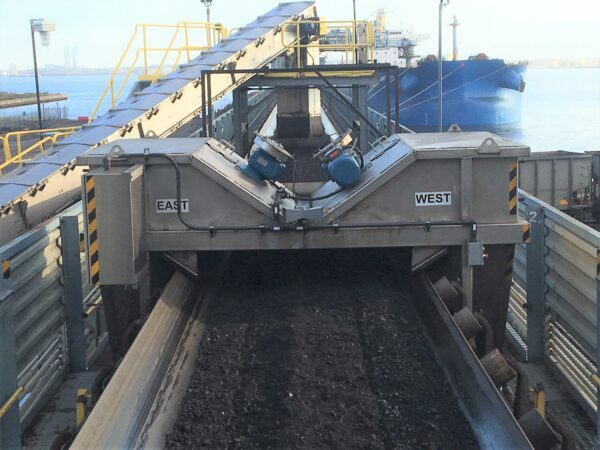 At terminals that allow manual belt sampling, the MPS reduces downtime of the primary sampling system; sampling technicians that would have been manually belt sampling can just activate the MPS and then concentrate on repairing the sampling system. Essentially, the MPS provides the best possible Judgment sample when mechanical sampling is not available. For more detailed information, please click here to access the technical article on the MPS. * Bulk materials with wide quality variations in the particles of different sizes may not be suited for sampling with an MPS. However, initial installations in the USA show excellent comparative results.